Three more lawsuits have been filed against the NFL for brain injuries as a result of repeated blows to the head during their playing days. The retired players are seeking to represent all former NFL players. The basis for the lawsuit is that the league should have informed them of the long term problems that hard hits in the game could cause them. Many players have developed brain diseases over the course of their retirement from the game. The players seek medical monitoring and compensation for personal injuries. The NFL has continually stated that safety is a main priority and always will be. The idea alleging that the NFL misled the players is false, as reported by a spokesperson for the NFL. The case is Jacobs v. National Football League, 11-CV-9345, U.S. District Court, Southern District of New York (Manhattan). 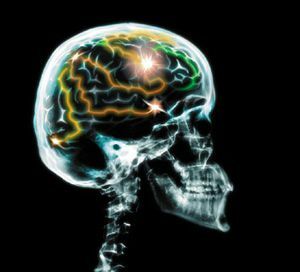 Traumatic Brain Injury (TBI), brain damage and other types of head injuries result of direct trauma to the skull and/or rapid acceleration and deceleration of the brain, including shearing (tearing) of nerve fibers, contusion (bruising) of the brain tissue against the skull, brain stem injuries, and edema (swelling). Davis Law Group is a metro Seattle personal injury law firm that specializes in handling personal injury claims involving brain injuries.